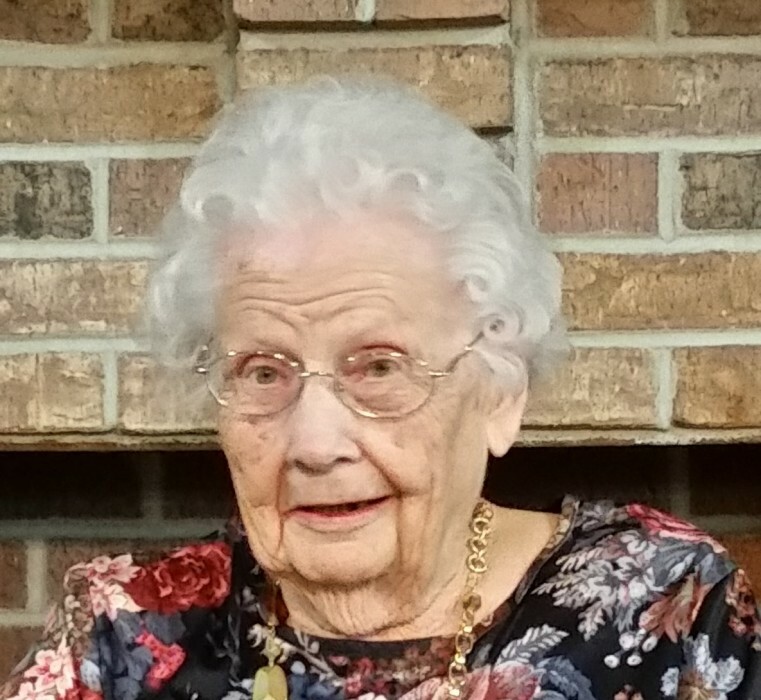 Mary Elizabeth Cerny, eldest daughter of Robert N. Davis and Minnie (Kolling) Davis, was born January 22nd, 1918 near Morganville, Kansas, and passed away on Sunday, October 7th, 2018 in Belleville, Kansas. She married Frank J. Cerny on December 24th, 1939 in Clay Center, Kansas, a marriage of 55 years. Mary graduated from Clay County High School in 1936, and attended the Kansas State Teacher’s College in Emporia. Mary taught school in Clay County, Kansas, prior to coming to Round Grove School near Narka. She was active in her community, and started the Narka 4-H Club, where she was a project leader of a boy’s cooking class. She was very involved with the Presbyterian Church, serving as an Elder, and was active in the Solomon Presbytery and Synod of Mid-America. She was also a member of the U & I Club, and the Ladies Auxiliary of the Mahaska Legion. She also served as a lay pastor at various area churches. Mary farmed with Frank around Narka until his retirement. Mary was preceded in death by her husband Frank, her parents, brother Raymond Davis, sisters Marcile Goldsich and Wilma Bauman. She is survived by her daughter Judith, her son James and his wife Betty, granddaughters Jennifer and Kimberly, along with nieces, nephews and cousins. Visitation will be held Thursday, October 11th, from 1:00pm to 8:00pm, with family greeting friends from 5:00pm to 7:00pm, at Tibbetts-Fischer Funeral Home in Belleville. Funeral services will be held Friday, October 12th, at 11:00am, at the Narka Presbyterian Church in Narka, with interment to follow at National Cemetery, rural Narka. Memorials may be made to the Narka Presbyterian Church, and sent in care of the funeral home. Online condolences at www.tibbettsfischerfuneralhome.com. Tibbetts-Fischer Funeral Home assisted the Cerny family with these arrangements.